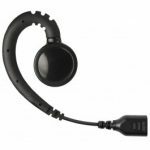 It’s quite easy nowadays to search for, and buy, almost any two-way radio product online (portables, mobiles, repeaters, duplexers). There are plenty of products to choose from and from many different manufactures: Hytera, Motorola, Icom, Kenwood, Harris, Vertex Standard, etc. Prices will normally be cheaper compared to what a local two-way radio dealer will offer. This is due to the fact that those web companies usually don’t have to worry about the cost of visiting your job site when things go wrong since you are responsible for the product you purchase. Unless you are sure that what you are purchasing online will work, we recommend calling a few local two-way radio dealers and have them test your existing equipment and check for coverage. You may find out that your two-way radios are fine, that they only need new batteries or new antennas. Or, you may find out that the type of equipment you are using is not the right match for you, maybe your radios are VHF not UHF. By meeting with a local sales rep, you may also find out that there is new technology that you were not aware of that can improve your communications at an affordable price. For example, if you are using analog two-way radios, now you can migrate all or part to digital depending on your budget. 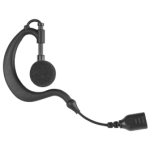 Digital two-way radios allow for both analog or digital communication. Once you’ve decided what two-way radios will work best for you, you may be tempted to go online and purchase the equipment following the specs one of the dealers gave you. We’ve been in situations like this before, and it’s understandable as you’ll probably save some money. However, you are forgetting something that may become vital in the future or maybe not so distant future. The online company you are purchasing from may be located anywhere in the country. Will you be able to get your two-way radio system back to work right away in case of failure? Or will you have to wait to send your equipment to have it repaired? How long will it take to get it back? How are you going to keep your two-way radio communications working while the faulty equipment is out for repair? You may lose all those savings you make on the purchase, and even more, due to support requests and by not being able to seamless run your business two-way radio communication system. What if the company selling online is overseas, will the equipment you purchase from them be designed for the USA and will it meet FCC requirements? Some two-way radio products are sold around the world under the same product name and number yet are designed with each destination country in mind. A local dealer won’t be able to help once warranty or repair issues arise. It will also be your responsibility if the FCC finds your two-way radio product is in violation of type acceptance or narrow banding mandates. You will have to pay the fine and suffer the confiscation of the illegal two-way radios you purchased. Ready to establish a new business relationship? Metrotalk Inc is an authorized dealer of Hytera and Harris Corporation two-way radio products. We’re conveniently located in the Washington DC, Virginia and Maryland metro area. Contact us to discuss how we can help improve your organization’s two-way radio communications. If your location is outside our territory, just let us know what products are you interested in. We’ll pass your information to one of the Hytera or Harris dealers near you so they can assist you. With everyone looking down at their cellphones these days, it can feel like they killed the two-way radio business. In fact, some people may be wondering if there is a better way to communicate than a cellphone. We’re here to tell you that two-way radios are still a reliable solution for those that require clear communication. Event planners, construction workers, universities, first responders, property managers and more still use two-way radios to communicate because the clarity and security are more efficient than a cellphone. They are easier to carry and more durable, and in many cases, they have longer battery life and high capacity battery options. Plus, with advancements in technology, they actually have a lot of the capabilities that a cellphone has like location tracking and notifications, bluetooth, as well as accessories. There are a lot of features that two-way radios have that cellphones just don’t. The cost is affordable, and over a lifespan, you’ll save money when you invest in these products. They also make it easy to communicate in groups, and you can use multiple channels when you have people that need to speak with each other or select groups, but not with everyone else that has a radio. Watch the videos below from Tait Communications, Harris Corporation, and Hytera to find out where the industry is heading. These three companies are already developing products combining the best features and capabilities of the two-way radio and smartphone technologies to offer the best solutions for critical and day to day communication. If you want to learn more about two-way radio products and services, then give the specialized team at Metrotalk a call for guidance and information. Call 1-800-268-4098 or contact us now and see for yourself the ease of use, clarity, and functionality they provide. Managing a campus isn’t an easy job. It doesn’t matter whether it is a small middle school or a large university, two-way radios will be necessary to ensure that employees can keep up with daily tasks. Having a convenient way to stay organized and speak with one another whether the communication is taking place between two people or a group can make a huge difference in how each day functions. 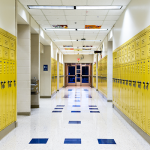 Here are a few reasons why every school system can benefit from a two-way radio system, and how we can help you find the best products for your needs. There are many events and parts of the day that will require the staff to seamlessly communicate with one another. Getting students loaded on and off of buses, alerting custodians to slick spills on the floor, and other jobs will be handled more efficiently when you have a quick and clear way to communicate. When there is an emergency on campus, you will want to be able to immediately reach those that can respond and resolve the issue quickly. Having two-way radio systems for your school will give you peace of mind knowing that you have access to a reliable form of communication when an urgent situation arises. One of the perks of a two-way radio system for the campus is because they are easy to use and affordable. They are more reliable than cellphones and faster to use, and the price of supplying employees with radios will be more cost-effective than paying for phone bills. Two-way radios can simply be charged at the end of the shift, and you will have many options to choose from to meet your communication needs. Campuses can stretch far and wide, and having complete coverage is going to be essential when you want clear communication from one end to the next. This will save you a lot of time because you won’t have to send employees on foot or vehicle to a specific location to converse with one another. Issues will be resolved faster, and the workplace will be more productive (and trust that employees will appreciate this convenience). Discover the benefits of two-way radio systems for your school system by reaching out to the experts at MetroTalk. Click or call 800-268-4098 and we’ll guide you through your options and be more than happy to answer any of your questions! Improve your school’s two-way radio communications. A few summers ago, we wrote a post about the benefits of renting two-way radios during vacations. We thought we would update that post this year since smartphones have become almost vital for every aspect of our lives. But when it comes to instant communication, two-way radios remain the number one resource. Whether in the mountains, at the beach, or at an amusement park you should consider using “walkie talkies” to keep in contact with your group members. 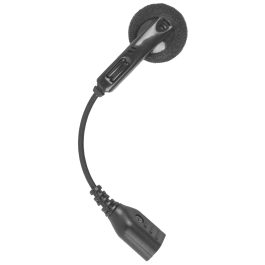 Two-way radios allow you to communicate with the whole group by just pressing one button. As long as your group members keep within a range of up to 5 miles line of sight, your communications will be covered. New built-in features on digital two-way radios make them even more user friendly. The built-in caller ID allows you to know who is calling and will display a missed call. It allows you to call one person out of the group or send that one person or the whole group a canned message that they can read and respond to. The radios offer channel annunciation which prevents you from switching to the wrong channel. The display provides for the adjustment of background lighting allowing you to adjust the brightness of the display to your liking. All of these features, along with better range, longer battery life, and increased privacy from eaves droppers! Don’t rely on smartphones for outdoors communication. Avoid having to wait to hear from your group members until they finish recording and updating their social media profile with the last scene or view. If they have a walkie talkie with them, they will be able to hear your message and reply just by pressing the button with one hand while continuing holding their smartphone and taking pictures with the other! Call 800-268-4098 or contact us to find out our special rates for vacation rental of our most popular two-way radios! 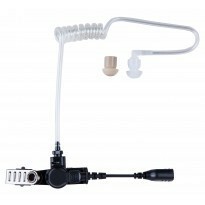 There are many ear tip options for 1, 2, and 3 wire surveillance kits. Here we provide details on the most popular ear tips. 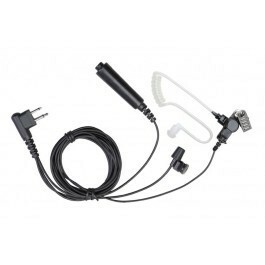 The clear tube surveillance kit, also known as the secret service style kit, is one of the most requested by two-way radio users. 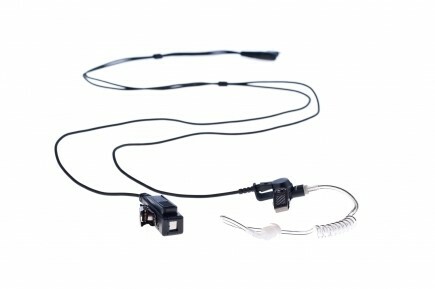 This type of ear piece consists of 4 replaceable parts: a twist off clear tube, an elbow, a quick disconnect adapter, and an ear tip. 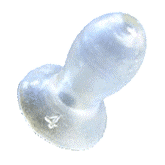 The most common ear tip sold with the clear tube ear piece is called the MUSHROOM. The Mushroom is available in SMALL, MEDIUM and LARGE to fit all types of ears and in clear, flesh color or black. Mushroom ear tips offer clear communications for the two-way radio user in regular to noisy environments due to the mushroom completely sealing the ear canal in the ear used. 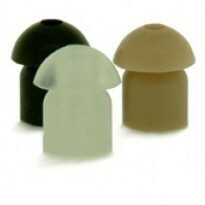 This ear tip option can become uncomfortable after wearing for long periods of time and/or from wearing the wrong size. 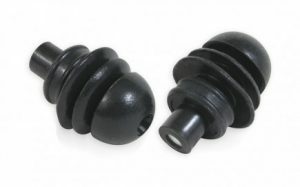 The second most popular ear tip that connects to the clear tube is the MOLDED EAR TIP, also known as the SEMI-MOLDED, K-FLEX OR FLEXIBLE OPEN EAR TIP. 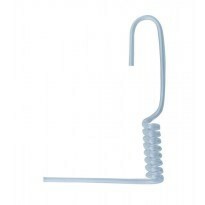 This tip is available in small, medium, and large and for the right or left ear. They are also available in clear, flesh, or black. These tips allow the user to be able to hear the radio calls along with the surrounding environment since it rests outside the ear canal and not in the ear canal like the mushroom. The mold allows the user to comfortably wear the ear tip for long periods of time. 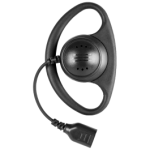 Since it allows ambient noise to be heard, it is not recommended for medium to high noise environments. COMFORT EAR TIPS or EAR FINS ear tips are a new variation combining the higher noise protection of the mushroom with some of the ambient noise allowance of the molded ear tip. These ear tips allow for a greater level of ambient as well as background noise to be heard and tend to be more comfortable than the standard mushroom. 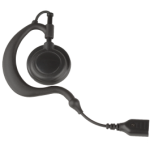 These ear tips offer a compromise in form and function for the user that works in a medium to high noise environment, yet needs to be able to hear their surroundings. TRIANGLE or PINKIE/TEAR DROP EAR TIPS are new one size fits all versions of the mushroom offering a design that will adjust to the wearer. These ear tips eliminate the need to stock small, medium, or large size mushroom tips. These tips are inserted into the ear canal, just like the mushroom, and tend to have the same long-wear issues as the mushroom ear tip. PASSIVE TALK THRU EAR TIPS. 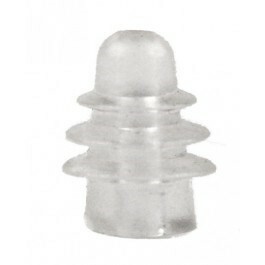 These ear tips sold in pairs can be worn by themselves to reduce ambient noise or connected to the clear ear tube by removing one of the filters. The technology, two mechanical filters, reduces noise while allowing for situational awareness. The design allows for it to adjust to different users. 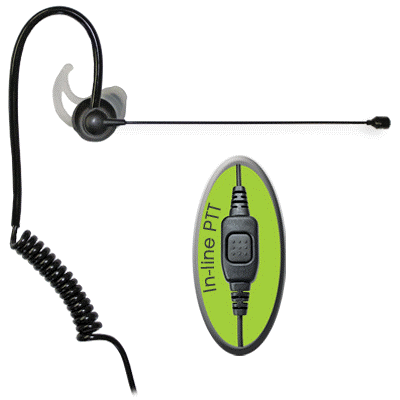 The inside the ear canal design prevents the ear from hearing ambient noise and the internal filtering allows these ear tips to be used in high noise environments. 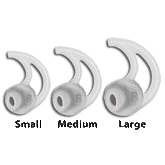 COMPLY ™ Ear tips are designed with soft foam. 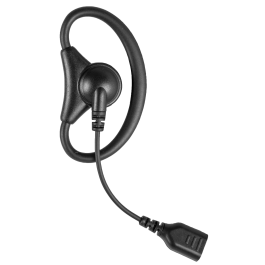 These ear tips adjust to the two-way radio user’s ear canal allowing to user to comfortably wear them. 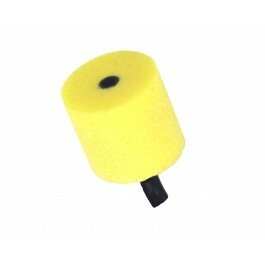 The breathable foam prevents moisture build up and allows for ambient and situational noise to enter the ear. These foam ear tips are also available with thicker foam which provides a higher level of noise suppression than the standard model, a middle of the road ear tip offering. 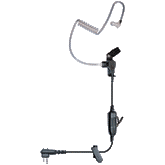 NOISE ATTENUATION EAR TIPS are an option when the surveillance kit is used in very noisy environments such as factory floors or concerts. 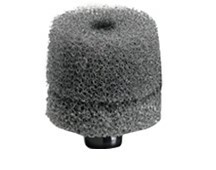 These ear tip options are available with different levels of noise suppression called Noise Reduction Rating (NRR). You can use the different NRR ratings to shop for the most protection. The higher the number, the better it protects against ambient noise. Ratings of -24db to -29db are commonly available. Their soft foam design makes them very comfortable to wear for long periods of time. Which ear tips are right for your surveillance kits? Let the experts at Metrotalk guide you. Call us today at 1-800-268-4098 or contact us now! When an emergency occurs, your reaction time is crucial to reducing the amount of damage that is done. 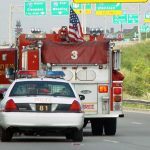 First-responders know that you can’t always rely on communication devices like cell phones because towers can be compromised in a storm and phone lines can become heavily weighed with traffic during disasters. Depending on the type of emergency you’re facing, you should never count on the internet as a primary source of relaying information because it can go down as well. Whether you work in an industry that handles emergency situations or you want to be prepared should one occur, here’s why two-way radios will be an essential tool. We’ve all seen the spider web look of a smartphone when someone drops it and shatters the screen, and there is no time for this equipment malfunction during an emergency situation. It’s essential that you have equipment and accessories that are designed to handle the wear and tear of a scenario of urgency. The last thing you’ll want to worry about is a fragile screen, and two-way radios will give you communication confidence so that you can quickly react to the situation. It is vital in an emergency that you know the location of your team members with the use of built in GPS on some radios, and the larger the issue, the more value you’ll see in this benefit of two-way radios. Covering a lot of ground is going to be part of the job whether you’re looking for lost hikers or a severe storm has damaged hundreds of homes. Knowing where each member of your team is located will allow you to seamlessly cover more ground and effectively execute your plan of action. Quality two-way radios will provide coverage ranging from 1-2 miles to many more by using repeaters and this gives you access to a broader scope of the area when you are trying to keep an emergency under control. While not all emergencies will require such long distance communications, you’ll want to have access to two-way radios that can handle the unpredictable nature of disasters, as well as the distance that they can create between first-responders to do their job effectively. When life is going smoothly, you’ll find that cell phones are easy to use for daily communication. But in an emergency situation, phone lines get clogged, the internet goes down, and finding a way to reach your team gets complicated. Two-way radios are reliable equipment that will ensure you’re prepared to seamlessly communication with your crew by just pushing one button. Make sure you keep the batteries charged and always take an extra one with you so that you don’t miss a minute of the conversation. Take a proactive step today to ensure you get emergencies resolved quickly by learning more about the benefits of two-way radios. The experts at Metrotalk Inc. welcome your questions and will guide you through the product choices so that you make the best decision for your team and the emergencies that you face. Contact us today! Two-way radios are an investment in seamless communication that benefits a multitude of industries from event planning to construction. But, they are only going to be as effective as the people using them. 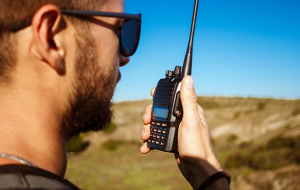 When you want to make the most of the two-way radios for your business and improve the way your employees communicate, here are a few helpful tips. In order to speak with clarity, you should already know what you want to express and use brevity to get the information across. Keep it short and cut out words that aren’t necessary, even if they are everyday niceties like “thank you” and “your welcome.” Use those when speaking with someone face-to-face, but when on a two-way radio, stay direct. You should also avoid pauses because this may prompt the other person to respond while you are completing a thought. Only one person can speak at a time, and you can’t talk over each other. Interrupting someone will only make the conversion last longer, as well as make it more confusing. Not all channels are going to be private when using a two-way radio, so be mindful that you follow proper etiquette for public use. In most cases, you’ll be confident that your line is secure and no one can dial into your frequency. However, if you aren’t sure, then don’t discuss issues that are meant to be private. When you want to ensure that you’ve heard a message correctly before acting on it, take a few seconds to repeat back the information. This small step in communicating on a two-way radio can save a lot of time and confusion and will make your job much easier. 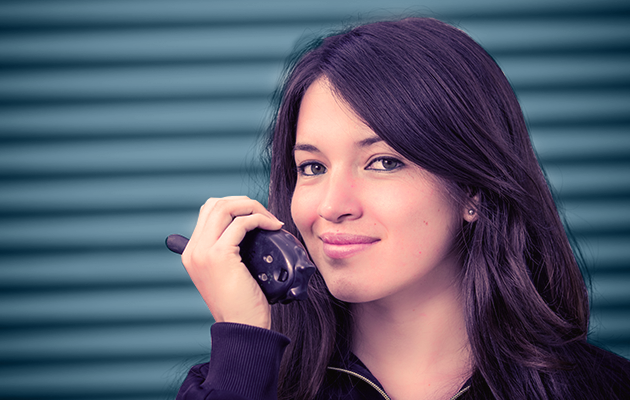 Don’t assume that your two-way radio is going to work correctly each time you use it. While they are a dependable piece of technology, issues can arise. Schedule routine radio checks for range, volume, and that the devices turn on and off as they should. Also, make sure your employees aren’t holding them by the antenna and that they are adequately secured so they don’t get dropped. Try to avoid accidents like coffee spilling on them. Make sure that charging is a primary concern, so everyone is ready when it’s time to communicate. You should have the charger and batteries that are designed to fit your radio, and you can designate one person to take the reigns when it comes to charging responsibilities or leave it up to the individual employee. 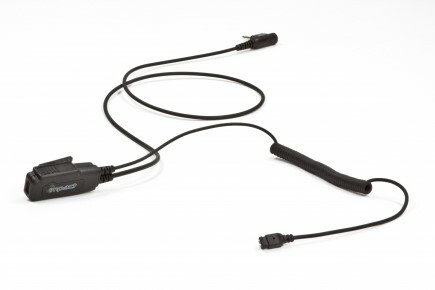 If you use an accessory (headset, earpiece, speaker microphone) with your radio always make sure that it is properly connected and in working condition. A loose accessory can block communication by keeping the radio constantly transmitting. Always check that the accessory connectors are in the right direction and properly tight. Want more helpful communication tips when using two-way radios? Call MetroTalk Inc. to learn about the best devices and practices that will prevent breaks in communication so that you are confident and productive when using them. Doing research on two-way radios will give you a lot of product information, but it just isn’t the same as hearing about a real life experience. Here we look at three different instances when professionals invested in two-way radios, the goals they hoped to achieve, and their level of satisfaction to help you learn more about what features are right for you. Carroll County emergency services had been using a dated radio system to communicate that just didn’t give them access to all areas in the six hundred square miles that they service. When Terry Bradshaw saw it was time to update, they choose the DMR Tier 3 800MHz trunked network that provided them with capabilities beyond their expectations. They were able to communicate in areas that they never had before, allowing them to respond faster and more efficiently. Plus, with encrypted communication, they were able to keep sensitive issues secured. While the Carroll County firefighters knew the product was of premium quality, they were still pleasantly surprised with the multitude of features. Click here to read more. When an electrical company in Kansas City saw the flaws in their current radio system, they decided to take action. The primary issue was three crews that were regionally based were all using different radio systems, and when they would have to come together for storm situations, communication was a major problem. Coverage was also problematic because there were locations that there was little or no way to communicate. Using past experiences and quality evaluations, they choose the DMR Tier 3 trunked network and haven’t looked back. Staff members are more confident when it comes to communication because the two-way radio system is reliable and always available. Response time became faster, and the ability to service the community improved tremendously. More details. The University of Connecticut has some pretty serious stadiums for sports, trade shows, banquets, and much more, and when these events were taking place, the staff wanted to find a better way to communicate. Wireless communication is essential for the arena setting, and cell phones couldn’t handle the job because of the large number of people in attendance that were also using devices. Dropped calls were an issue until they were introduced to the Hytera products and PD7 Series. They soon discovered that they could have seamless communication, even over the noise level of the crowds. The system was cost-effective and helped them host events for tens of thousands of people safely and efficiently. Learn more here. 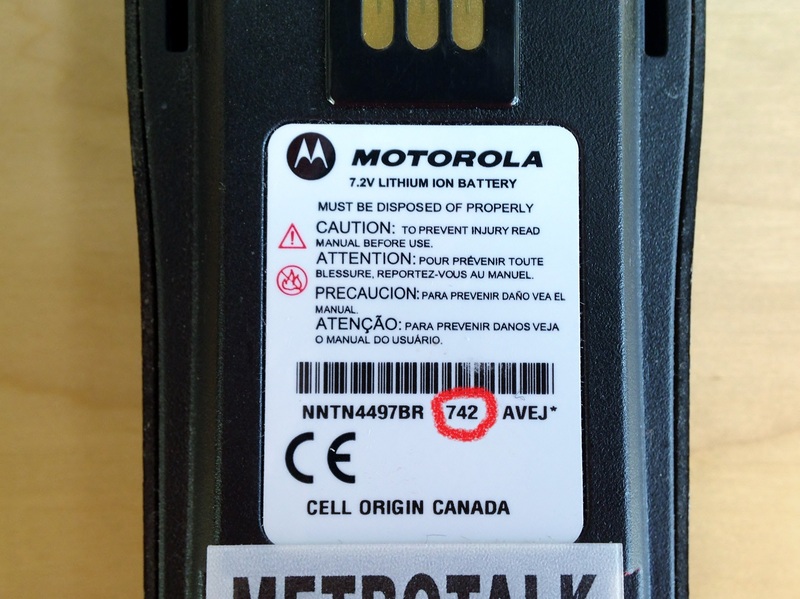 If you’re ready to experience seamless, secure, and reliable communication, talk to the experts at MetroTalk Inc. about product choices and testing options. Let us be your communication solution, so you don’t miss a single piece of information in your day due to failed calls or locations challenges. Two-way radios have been used for decades, and over the years they have advanced and become one of the most efficient forms of communication for multiple industries. Unlike many other forms of communication for the workplace, they do not require a monthly service fee to operate. If you’ve ever considered utilizing two-way radios for your business, it will help to learn why others find them to be a valuable part of their daily production. Here we check out five of those industries and what makes these radios such a smart choice. A construction site can be massive from the length to the height, and when a worker needs to speak with a supervisor or reach an architect, then having a fast and safe form of communication will be necessary. 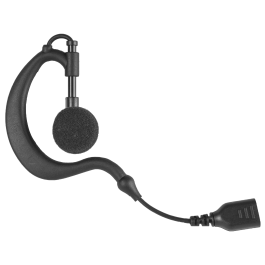 A two-way radio is used on a daily basis to request things like tools and equipment or more workers to a specific area, as well as to get questions answered and directions clarified. Because two-way radios are designed to be sturdy and handle the daily punishment that comes with many industries, construction included, they make a top choice over cell phones that are light weight and easily break. If you’re in the hospitality industry, then you want to ensure your guests have a fantastic experience. Two-way radios give your employees an easy way to speak with each other, and that saves a tremendous amount of time. For example, the housekeeper can call maintenance if there is damage in a room, the front desk can coordinate check-ins, and room service staff can resolve issues with the kitchen quickly, no matter where they are. Many customers at a resort, hotel, or bed and breakfast may be turned off by staff on their cell phones because they won’t know it’s for work communication. Two-way radios are not only more reliable and faster than a smartphone, but they look more professional. Plus, unlike other mobile devices, you’ll know that the employee is on the job site because two-way radios has a coverage area that is known. Manufacturing facilities can be huge, and they are filled with a lot of massive assembly lines and pieces of equipment that break down and disrupt the flow of production. Depending on the area in the factory that this occurs, cell phone reception is often not an option. Manufacturers have found two-way radios a much better option versus other devices because they are fast, reliable, and can reach all areas of the facility from the front desk to the long assembly lines to the loading docks. Whether it’s security for a concert or a police officer responding to a crisis, those that work in an industry that deals with the safety of others will need a flexible and quick way to communicate with each other. This allows a team of professional security guards to work together for instances like dealing with a crowd that is getting out of control to firefighters that must collaborate to put out a burning building. If you’ve been shopping lately, then you’ll probably notice one (if not all) employee utilizing two-way radios to provide you with speedy service and quick answers to your questions. In the retail stores, these will be used to alert cashiers to come to the front, to request clean up for a spill, to report an unruly customer or when a shoplifter has been spotted, to get pricing information, and much more. Beyond the five industries listed above you’ll find there are more that have found the two-way radio to be the most rapid and reliable form of communication from event planners to film crews to park rangers. Metrotalk Inc. is here to answer your questions and find the best radio for your industry so you can enjoy the benefits as well. 1. Determine what area you want covered. The power rating of the two-way radio will determine how far its signal will reach. There are radios with 0.5W to 5W of rated power. The higher the power, the bigger the coverage area. 2. Decide how rugged you need the two-way radio to be. Two-way radios come in many shapes and sizes. They are also built with an all plastic design, plastic outside and aluminum inside or aluminum outside and inside. Each design style will provide different shock and impact protection to the components inside. The two-way radio build quality will reflect on how long the radio will last and perform at peak efficiency. 3. Decide if you want a two-way radio with a display or not. A display provides important information on how the channel is programmed. It allows the user to assess the channel’s power rating (High or Low), Mode (Direct or Repeater), ID (which group is assigned to the channel), Battery level, and how well or not it is receiving a signal from other radios (signal strength meter). Non Display radios offer none of those benefits. 4. Determine which battery to use. Today’s two-way radios are offered with a basic battery and a higher capacity battery. Consider how long the two-way radio will operate with each type of battery before selecting one or the other. If you need the radio to work for a full 8-hour shift and the basic battery offers 6 hours of talk time, you will need to use the higher power battery or you will be forced to purchase a second battery in order to cover the shift. 5. Consider the IP (Ingress Protection) rating. 6. Select between the standard two-way radio antenna and the short version known as Stubby. a) How well the two-way radios cover your work area. b) How much comfort does the user want when wearing the two-way radio. The Full size antenna will receive a weak signal better than the stubby one. The stubby antenna will offer more comfort when worn on the belt. Once you know how the two-way radio will cover your work area, you will then be able to decide which antenna you will wish to use on a daily basis. Two-way radios are sold with varying channel capacities. From the very basic 1 channel radio to the more sophisticated 2000 channel radio. 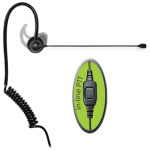 Two-way radio channels are used to group people or groups of people into simple to identify locations. Determine how many groups your company will need to have before choosing a two-way radio. If you have 4 groups but only purchase a 2 channel radio, a decision is going to have to be made as to who uses which channel. If you decide that management will use channel 1, the three remaining groups will have to listen to each other all day long. This will generate resentment, confusion and reduce productivity. 8. Choose the right size. Two-way radios come in all sizes. You can choose pocket size to almost 9 inches long in a full size radio. The size of the two-way radio is not a reflection of the abilities of such. Many manufacturers will offer a full size and a small size of the same radio. This means that the only thing you are giving up is the weight on the belt and the physical size in your hand. Others will offer multiple sized radios. Each will have a different IP rating or feature set. Ask about each model and its capabilities. Purchase the one that meets your needs. Still Can’t decide? 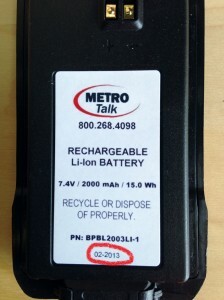 Let Metrotalk Inc. help. We start by listening to your present and future needs. We will recommend the most appropriate radio, that will have the features and future capabilities that you request. Then, we’ll deliver the same radio for you to test in your environment. If you like the way it feels, and covers your work area, we will provide the sales and FCC licensing support to guarantee your decision will work now and in the future. Most people consider going on vacation as a time to relax and enjoy the free time. Many use radios at work and may not think of using them while on vacation. You use them at work because it the most efficient way of reaching a co worker when you know he/she is on the premises. You know that radios can cover vast distances and do not need towers or other infrastructure to work. They do have limitations of range when used by themselves but knowing the limitations helps you to decide how far you can go. Most people think that cell phone coverage is available everywhere. Unfortunately, they find out the truth when they are traveling on a back road, or reach a secluded destination. The cell phones companies have to spend over One million dollars per cell phone tower in order to provide coverage in that geographical area. They determine where to place the towers by how many potential/existing customers they have in the area. The tower space has to be available as well. In the heartland or on secluded locations the land owners many not or do not want a tower sticking into the air ruining the view so that customers can talk on their cell phones. They believe that customers can use the free phone service in the rooms or the reason they are there is to relax and leave call behind. That’s why renting two way radios is a good idea. It allows you to keep in touch while following family members in other cars. It allows you to be able to communicate inside the resort. It allows you to be able to keep tabs on your family members as they are out and about enjoying the facilities. All without having to worry about cell phone coverage. Since calls go out to all users you do not have to make multiple cell phone calls when trying to let everyone know dinner is ready or that you are not going to be available for a while, as you take a long restful NAP. Contact us to find out about our vacation rates. In today’s world, there are many two way radio manufacturers. Some are well known. The Motorola, Vertex Standard, Icom, Kenwood, Bendix King brand names have been around for many years. Some well over 80 years. Some have come into being a few years ago. Hytera was founded in 1993 (Hytera.us). Some have been around since 1895 (Harris.com) yet not very well known. This constant growth and consolidation requires the end user to sometimes look for vendors that support their product. In the past, if you wanted a battery or accessory for your radio, you had a few choices: The vendor that sold your brand of radio or the competing dealer that sold the same brand. In other words, very little choice. Luckily for everyone, today things are different. 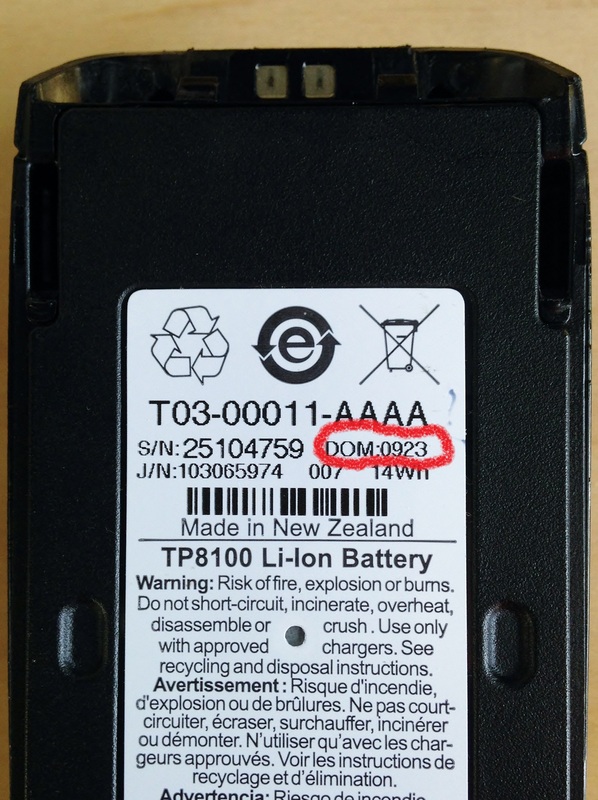 There are many AFTER MARKET companies supplying batteries, chargers, antennas and every conceivable accessory for every radio sold. Many offer products that the radio manufacturers wished they offered. Many times it’s the after market companies that are first in offering new and exciting products. They do so, not with one radio vendor in mind but with all radio vendors in mind. Today, a few, very high end radios offer Bluetooth connectivity. Yet, after market companies have offered not one but three choices of either Bluetooth devices or devices that work like the Bluetooth, but use a different technique. Either way, customers are able to get what they want when they want it. This growth, in both selection and price, is exemplified in the battery and charger offerings. 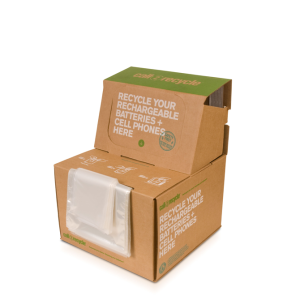 Today you can purchase a battery with the same or better fit and finish than the manufacturer’s battery. 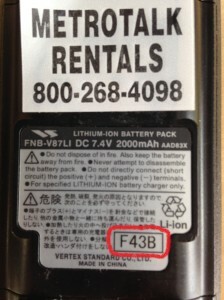 You can also purchase a battery that offers 3-4 times the capacity of the original battery. Chargers are available today that can charge up to 12 radios/batteries in one unit, while allowing for the mixing and matching of different makes and models of radio, and battery chemistry. They offer easily replaceable pockets to match your radio. This makes it easy for you to save money by deleting the factory charger and just purchase a low cost pocket to fit your new radio. Contact us and see what accessories and battery options are available for your radio. Two way radios are complicated pieces of technology. Just like smart phones, home phones and many other portable devices. The technology integrated into those items was ‘the stuff dreams were made of” just a few years ago. Still, the one thing that makes the items listed above work and other items such as cars, boats and airplanes is just now beginning to receive some much needed attention. The poor lonely battery. It is the item that attaches on most items as an afterthought. On some, it is hidden from view inside the unit. Many times, it looks as if it doesn’t really belong with the rest of the pieces. However, without it nothing will work. The radio will not turn on, transmit or receive. None of the bells and whistles, lights and vibrate mechanisms will operate. Yet … everyone seems to forget about it. They will complain about poor coverage, dropped calls, lack of talk time, poor transmit. The person on the other end will complaint that ” I can’t hear you properly…you are breaking up” when you are talking from the same spot you always call from. They will start wondering if it is the unit that is bad, the system or even begin to consider a replacement since ” things worked better when the unit was new”. 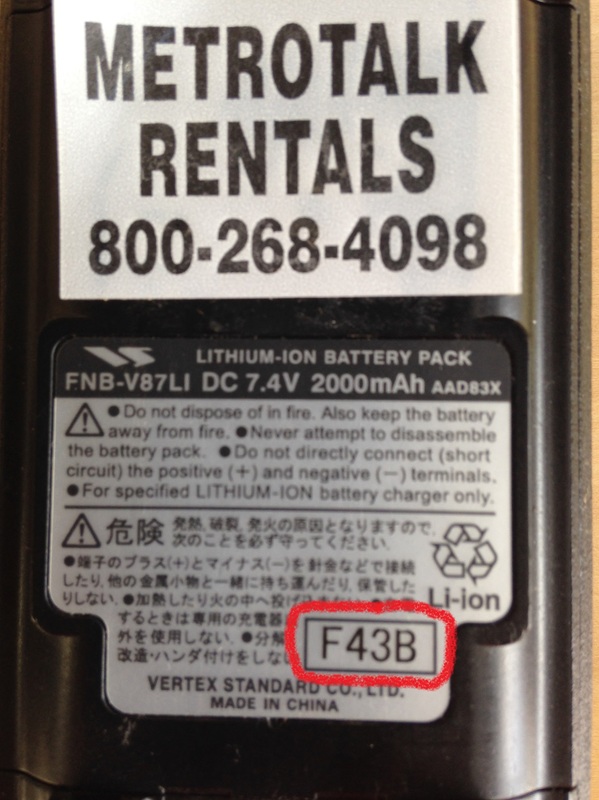 Rarely does the user ever consider how old the battery in the radio is. Like most people think, batteries are supposed to last a lifetime. At least the life of the radio!!!?? Sadly, all batteries, no matter what make or model, what capacity or chemistry, when their time comes, their time comes. They get weak and eventually die. Most batteries last between 18-24 months with some reaching 3 years. It is easier now with Lithium Ion (Li-Ion) and Lithium Polymer (Li-Pol) batteries. The Lithium batteries are designed to charge for a set number of cycles and then they die. One day full power the next dead. This is a good thing, in a way, since a dead battery gets attention much faster. With the Nickel-Cadmium (NiCad) and Nickel Metal Hydride (NiMH) technology, the battery would slowly and painfully fade in capacity. This slow death actually allowed users to get used to the degraded performance and until things got really bad, they would not pay attention. 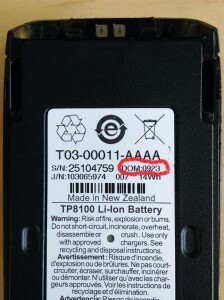 The battery is responsible for the radio working. Period!! Without it the transmitter or receiver will not work. 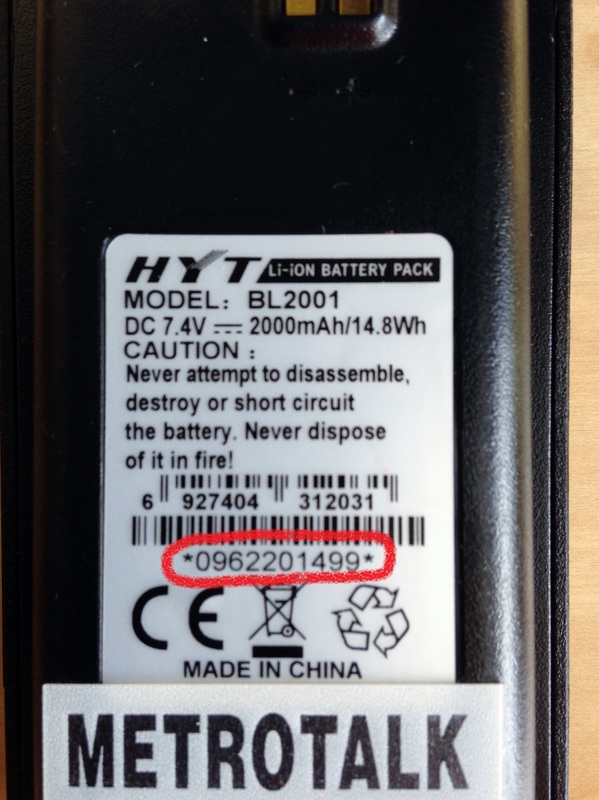 So next time you are having two way radio problems…and by the same token, any problem with a battery operated device, look to see how old the battery is. If it is over two years old….you will be surprised when you check…..replace it!!!!!! Then, if you are still having radio problems such as poor receive or poor transmit, you can begin to address other items like the antenna, microphone or charger. Otherwise, you will spend money on a new radio you didn’t need or a repair charge that was not necessary. 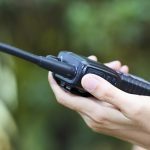 If this is your first time at metrotalkinc.com, we hope you’ll enjoy navigating through our site and that you’ll find some of the information here useful for your two-way radio communication needs. For those of you that are recurrent visitors, yes! you are at the right place, metrotalkinc.com, just with a new design and hopefully a better navigation experience. For the last couple of months, we’ve been working with a group of web designers and marketing experts to develop a more interactive and easier to navigate website. We are very pleased with the result and hope visitors will be too. Under the Products tab you will find all the two-way radio products we offer (DMR Digital, P25, Analog) with their spec sheets, pictures, features and technical information. Filters were added to allow you to search products by technology, brand or category. A blue line underneath the product picture means it’s available to Rent whereas a green line means it’s available to Buy. Some products may show both lines of color, meaning they are available to Rent or to Buy. The Services tab gives you access to some of the different solutions we offer to user of two-way radio equipment, such FCC License filling, Demo Equipment, On-site surveys, and on-site training. The Rentals tab takes you to the page on our website where we explain in more detail the benefits of renting two-way radios and the quality and features of our rental walkie-talkies, accessories and repeaters. We also explain the benefits that two-way radio rental products and services offer to those involved in the business of organizing, planning and producing shows, events and exhibitions. A Search icon was added to the navigation menu to allow visitor find content published in our web by typing product names and two-way radio related topics. If you don’t find what you are looking for please, contact us, we will be more than happy to assist you.